You had a plan. You were going to rent the storage space for a few months until you had time to go through all of Gram-Gram’s precious lap blankets after you moved. Fast-forward nine years. Your move was a success, and you love where you live. Number of times you’ve visited the storage unit: Zip. Zilch. Nada. Hey, it happens. The truth is, people forget about their storage units. Or perhaps they stop paying. Or maybe they move away and never get their stuff. Which raises the question: What happens to your property when it’s left behind? Two little words: It depends. 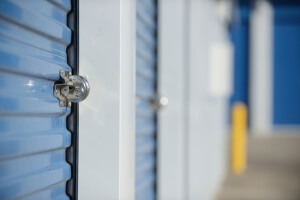 Laws differ from state to state and county to county, but most seem to agree that the owner or manager of the storage facility has an obligation to let the renter know that the bill is no longer being paid in a timely manner. There’s usually a grace period. That likely depends on the contract you signed. The manager may even take out an ad in the local paper if a renter is unreachable through normal channels. If the management of the storage facility makes a good-faith effort to reach the renter and is unable to make contact, then all bets are off and the contents of the storage space can be auctioned off. There’s no set time frame: It could be right away, or it could be whenever the storage facility gets around to it. Read your contract carefully—it should be in the fine print.